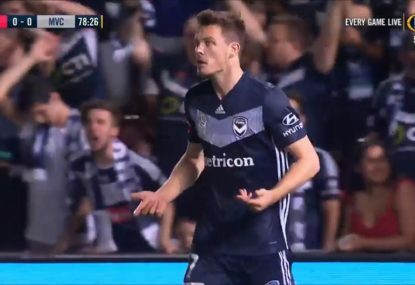 If Adelaide were to win this game, they would not only cement their place in the finals, but they would metaphorically set their place in the running to win the A-League finals series. If Sydney were to win this game, they would still be in the running for the minor premiership plate. A draw wouldn’t cut it for Sydney, as they have to show that they are still consistent and are still in the running to beat Perth even if there is an eight-point gap in between them. 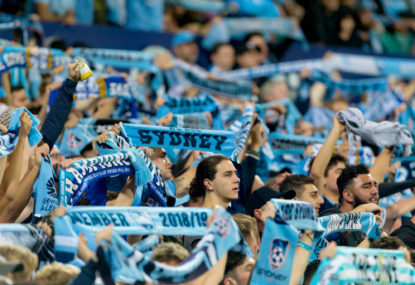 The fans of Sydney FC will be hoping for a better showing at Leichhardt Oval, as last time around it was a poor performance by Sydney in a 1-1 draw against the league’s lowest team. 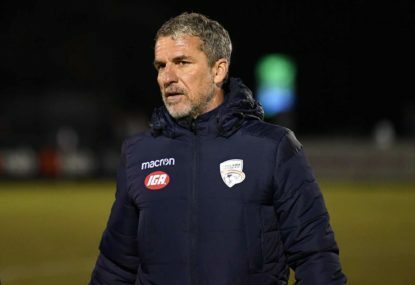 That being said, they played very well against Wellington Pheonix, and even though it was only 1-0 thanks to a trademark Adam Le Fondre penalty, they had a lot of chances and were unlucky to not score from open play, so Steve Corica should be confident going into this game. Adelaide have been struggling, as a 0-0 draw against Newcastle Jets isn’t a good result for a team who won the FFA cup only months ago. Unfortunately for Sydney FC, the man who practically won them their last game is out, after winning the penalty which Le Fondre blasted into the roof of the net. 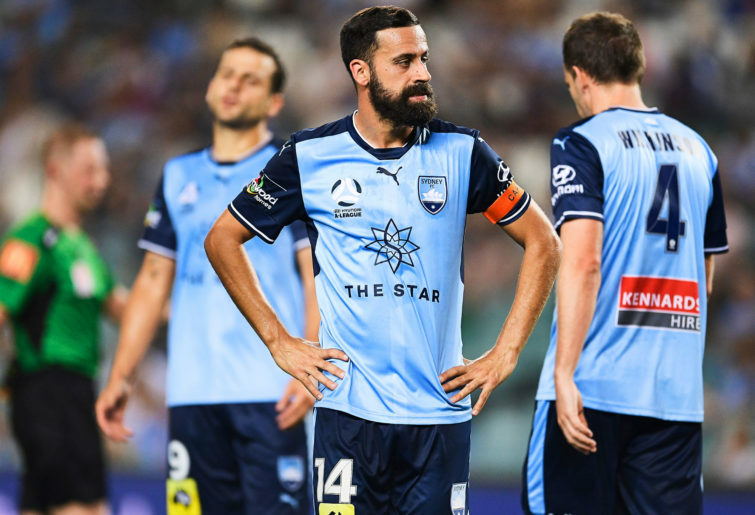 Alex Brosque has become the third Sydney FC player to be suspended this season after picking up his fifth yellow card of the season. Although Brosque would most likely be on the bench, he always has a massive impact coming on and he’s key for Sydney in both attack and defence. Daniel De Silva has been pushing to regain his place in the starting eleven, and this is going to be a key game for him. With Siem De Jong set to be back in two weeks, Steve Corica has a massive decision to make. Should he play De Jong at attacking mid and play Reza Ghoochannejhad at striker, or should he play De Jong as a second striker/in the hole and play Daniel De Silva attacking mid? De Silva is at the age where if he wants to stay at Sydney, he’ll have to make that position his own. I feel like he has the quality, but he is just lacking a tiny bit of edge to his game, but that will come with time. Apart from that, I don’t see any changes to the line-up. There’s no doubt that something or someone has to change at Adelaide United. 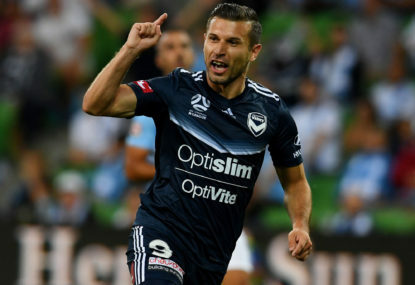 In their last three games, they drew two and lost one, which is a poor record considering they are the only A-League team with silverware this season. I really like Nikola Mileusnic, he’s everything you want in a winger. He’s pacey, good at crossing, he can score with his head and he can score with his feet and I truly believe that Adelaide are really missing him at the moment. 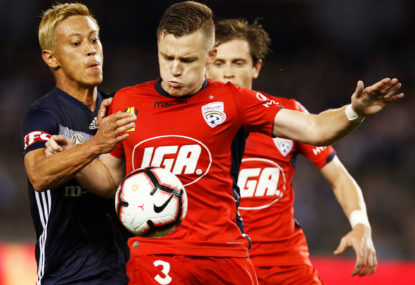 That being said, Ryan Kitto has the quality to replace him, but unfortunately for Adelaide, he hasn’t been at his best since his injury, with his main contribution being winning the penalty that won them that game against Newcastle Jets. 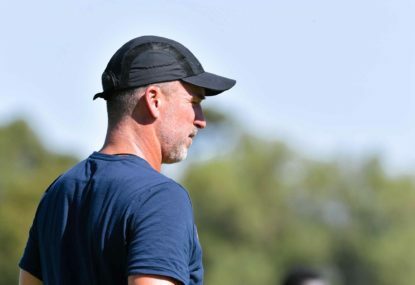 Another problem for Adelaide is that new striker Jordy Thomassen is not living up to his expectations, and this would be the game to do it. That being said, I can’t see any changes being made, but Marco Kurz could think about bringing in Vince Lia instead of Mirko Boland. The midfield will be the key battle for both teams, as both Sydney and Adelaide have arguably their best players there. It will be a tough game for both teams, but Sydney’s home advantage should get them through. I think that Le Fondre will score, not from a penalty but from open play. 2-1 Sydney.